In professional photography we want our light, weather outside or in the studio to have direction. Without direction there are no shadows. Without shadows your subject becomes flat and looses its three dimensionality. In outdoor photography if you want your subject to have drama and power you must bide your time until conditions are right. The basic rule is; YOU MUST EITHER WAIT FOR THE SHADOWS OR MAKE THE SHADOWS IN PROFESSIONAL PHOTOGRAPHY. So, we do a lot of waiting in nature photography—and it’s the same if we’re photographing a bute or a barn or anything outside. For the image of this barn I waited for over a year for the proper alignment of conditions. As I saw the image in my head, I wanted a great cloud mass behind the barn when the late setting sun was at the proper angle to give the barn and clouds those shadows. It took a while for me to get this image because the weather here in Idaho is very volatile. Out clouds can blow in and out of here in minutes taking my light with them or just blowing all the clouds away! After I got my “master-shot” of the barn as a whole I proceeded, as I usually do, to slice-up my subject into smaller compositions to highlight its details. 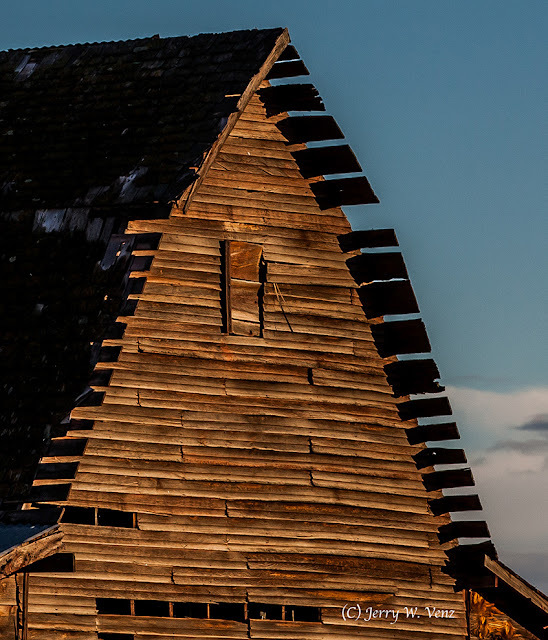 In the images below I changed my angle on the barn to make the lighting even more dramatic—shooting down its length now. 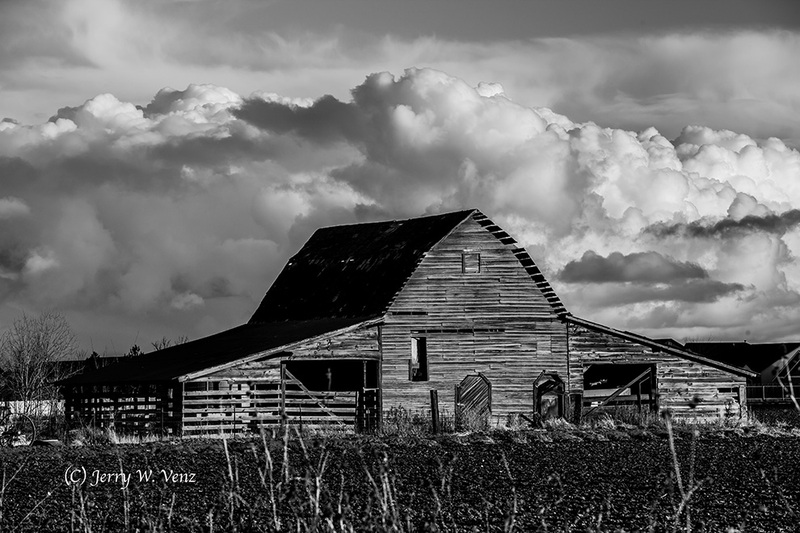 These barn images are part of my personal project to document the quickly vanishing barns (and farms) in the developing areas around Boise. Two of the four barns near me, here in Meridian, have already been demolished in preparation for more housing developments. Is there any history that’s worth documenting in your neighborhood?